Madhav rao Scindia was born to the last ruling Maharaja of Gwalior, Jivajirao Scindia. He was educated at the Scindia School, endowed by his family, in Gwalior, Winchester School and then at Oxford University. 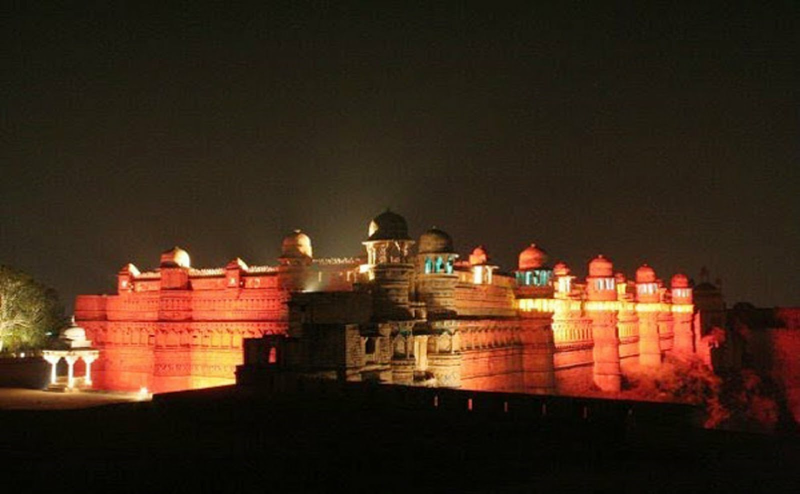 After Indian independence in 1947, his father acceded to the Indian government, and the kingdom of Gwalior became part of the new state of Madhya Bharat, which in 1956 was merged into Madhya Pradesh. Madhavrao followed the political tradition laid down by his mother Rajmata Vijayraje Scindia, who was elected to the Lok (parliament) in 1962. 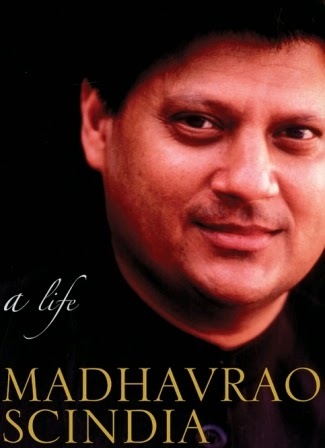 A nine-term member of the Lok Sabha, Madhavrao Scindia never lost an election since 1971, when he won for the first time from Guna at the age of 26. He contested as an independent with the support of the Jan Sangh, a party that his family had for long patronised. In 1977, he switched to the Congress Party despite resistance from his larger family, and won the seat a second time. In order to avoid a direct contest with his mother, he ran from the neighbouring constituency of Guna. But in 1984, he was nominated the Congress candidate in Gwalior as a last-minute manoeuvre to defeat the Bharatiya Janata Party's Atal Behari Vajpayee, and won by a massive margin. Since then Scindia contested from either Gwalior or Guna and won on each occasion. 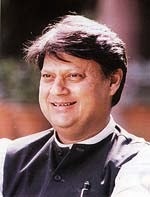 The 1984 election brought Scindia his first experience as a Minister. He made his mark as an excellent administrator during his stint as Railways Minister in the Rajiv Gandhi Ministry. He is credited with the modernisation and computerisation of Indian Railways and with maintaining the most cordial and professional relationship with his managerial cadres. Prime Minister P. V. Narasimha Rao made him Minister for Civil Aviation. He faced a turbulent period of agitation by the staff of the domestic carrier, Indian Airlines, and as part of a strategy of disciplining the workforce he leased a number of aircraft from Russia. Early in 1992 one of these aircraft crashed, though without any loss of life, and Scindia promptly submitted his resignation. Although not known to be too finicky about such notions as ministerial accountability, the prime minister accepted his resignation. Scindia was later reinducted into the Cabinet in 1995 as Minister for Human Resource Development. Scindia is also accredited with set up of Indian Institute of Information Technology and Management (IIITM) at Gwalior as an institution of repute, which got renamed after Atal Behari Vajpayee as ABV-IIITM. In 1996, he along with Arjun Singh and other Congress dissidents had the opportunity to be part of the United Front (U.F.) government at the Centre. Although his Madhya Pradesh Vikas Congress was part of the U.F., Scindia himself opted to stay out of the Cabinet. His first priority obviously was to return to the Congress and resume his old political bonds. His opportunity came when Narasimha Rao was ousted as Congress president after a string of indictments in corruption cases. Scindia's political role and influence within the Congress party grew rapidly and he was seen as a potential prime ministerial candidate. His tragic demise in what was reported as a plane "crash" demolished many hopes. His son, Jyotiraditya Scindia is a Member of Parliament to the seat that he held. He is presently a minister in Dr.Manmohan Singh government as Minister of State, Ministry of Commerce and Industry. His daughter is married to the Crown Prince of Kashmir. He was the President of the Board of Control for Cricket in India from 1990 to 1993. Scindia had a deep interest and commitment to literary activities. Thus instead of restricting his visits to political meetings, he was often the guest of honor in literary and cultural programs. On such occasions people used to request him to recite a poem after his formal lecture was over. He always used to oblige people by reciting choice poems or Urdu shayari. From 1961 until the abolition of titles under Indira Gandhi, Scindia was known as His Highness Ali Jah, Umdat ul-Umara, Hisam us-Sultanat, Mukhtar ul-Mulk, Azim ul-Iqtidar, Rafi-us-Shan, Wala Shikoh, Muhtasham-i-Dauran, Maharajadhiraj Maharaja Shrimant Madhav Rao III Scindia Bahadur, Shrinath, Mansur-i-Zaman, Maharaja Scindia of Gwalior. Scindia married Madhavi Raje, and they have a son Jyotiraditya Scindia and a daughter Chitrangada. Scindia died in a plane crash in 2001 . His son Jyotiraditya became the new head of the family in a Hindu ceremony which officially handed the King's turban to him.